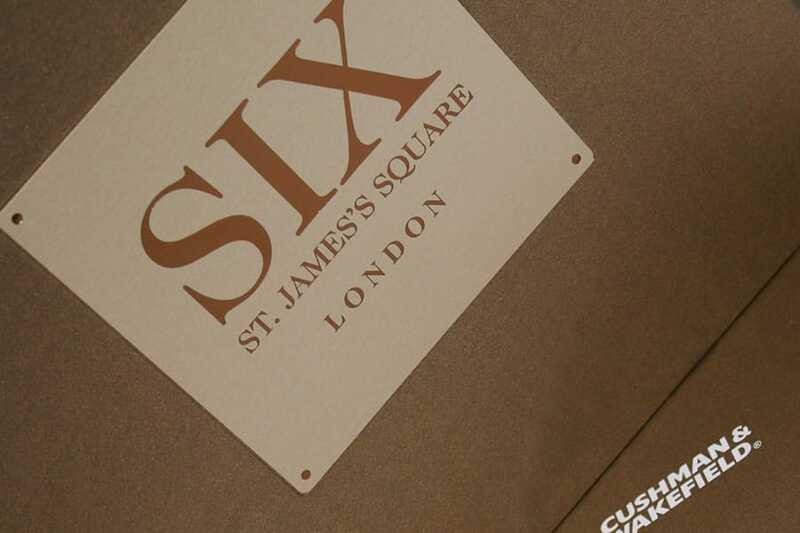 Our team was exclusively appointed by the Cushman & Wakefield Office Investment team to create a new brand identity and marketing particulars for Six St. James’s Square after having previously worked with the agency on a whole host of their prized property investments. 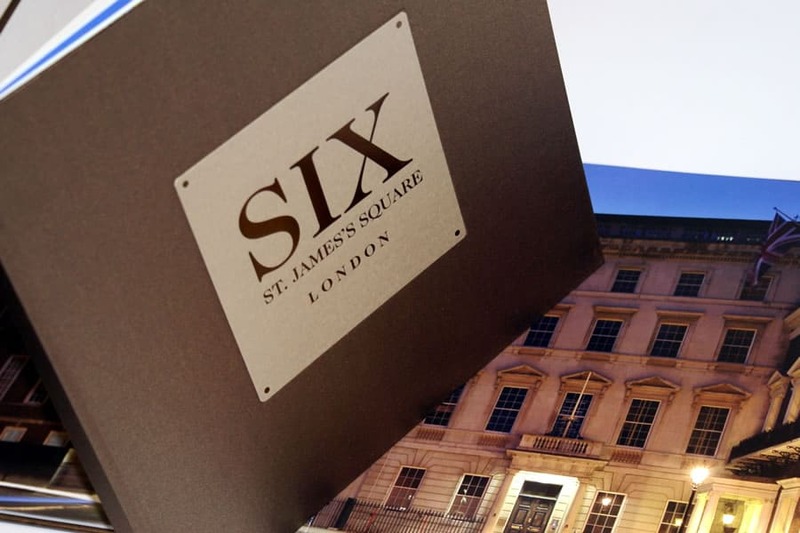 Six St. James’s Square, one of the most prestigious addresses in London, is located in the heart of the exclusive and historic St. James’s district, in London’s West End. The area is internationally recognised as one of London’s premier office destinations and is regarded as the West End’s most esteemed and strategic business location. 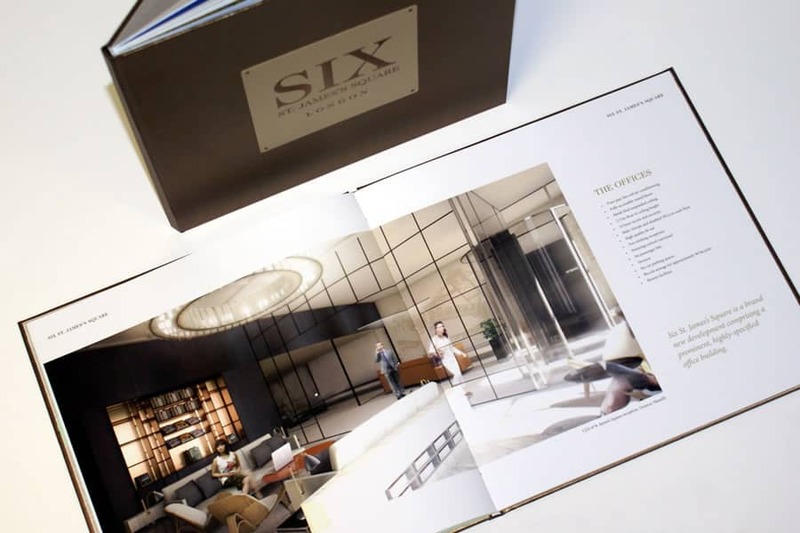 The Creativeworld team produced a unique luxury brochure to match the scale and magnitude of the investment. 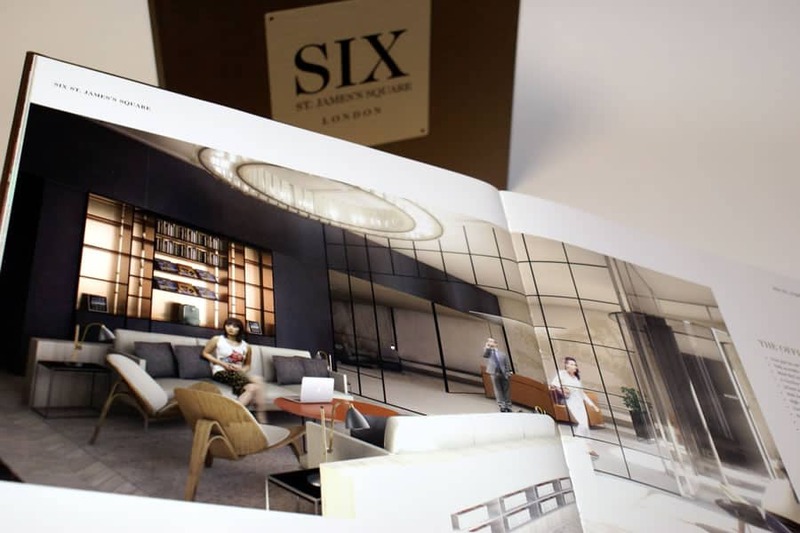 The front of the brochure was specially de-bossed to allow a bespoke plaque to be inset, complemented elegantly with a bronze foil text finish. The brochure itself featured high quality GF Smith paper along with a selection of elegant location photography, all of which was produced by Creativeworld. 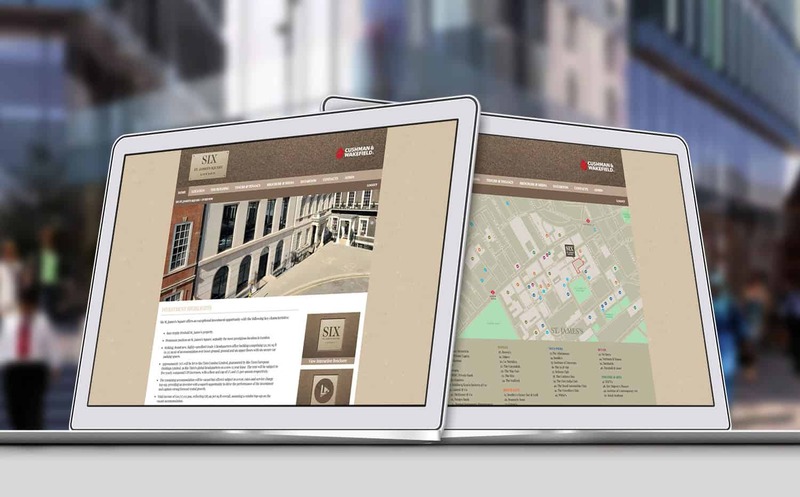 On the digital side, our in-house team designed and developed a dedicated website and secure data room for the investment. The site features downloadable documents which can be accessed through a secure login system. The data room keeps track of user’s activity so you know which visitors have viewed and downloaded documents, allowing the ability to monitor live activity of interested parties.